No bees here, just pots. For bees you'll have to go see my father. Or, alternately, skip the bees and raid the honey larder. Just don't tell him I sent you. That's sweet gold, honey is. All that to say, if this blog were to be trusted, all I've done in the last two weeks is drop one pot on the floor and load a kiln for firing. Well! Be not fooled! I've been quite hard at work, and found the time not only to load that kiln, but also to turn it on and unload it 12 hours later! Amazing! Redemption: dropped pot on Saturday, threw this one on Sunday. 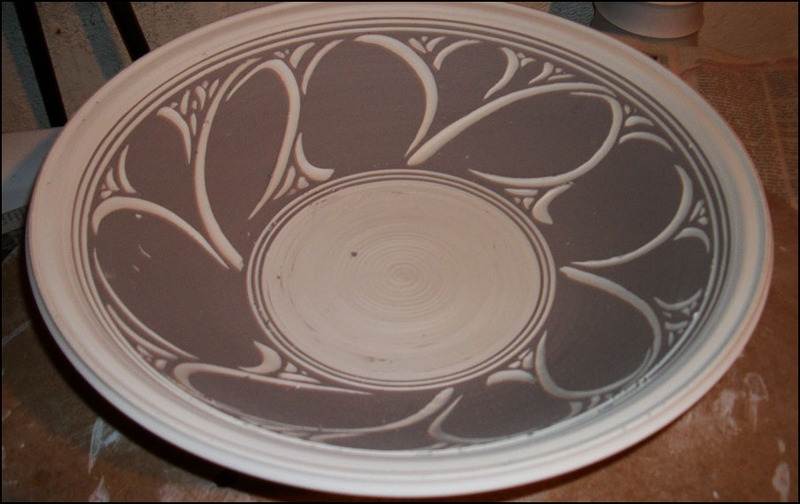 Big bowl. Going for more minimalist design. Broad blue spaces. Still waiting for some design work. 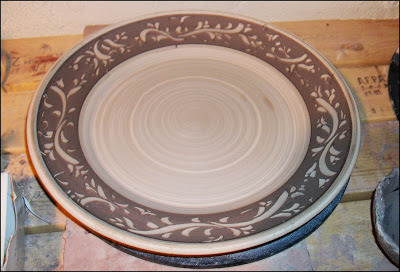 I think this is the same bowl seen above, just earlier in the process. They sure are pretty right off the wheel. 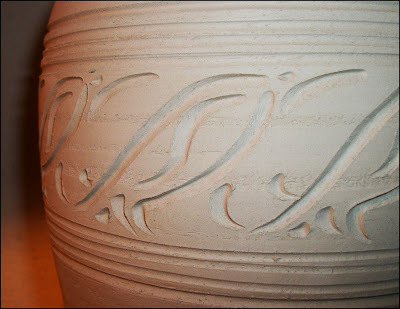 Love the look of the wet clay pot. Nothing better. 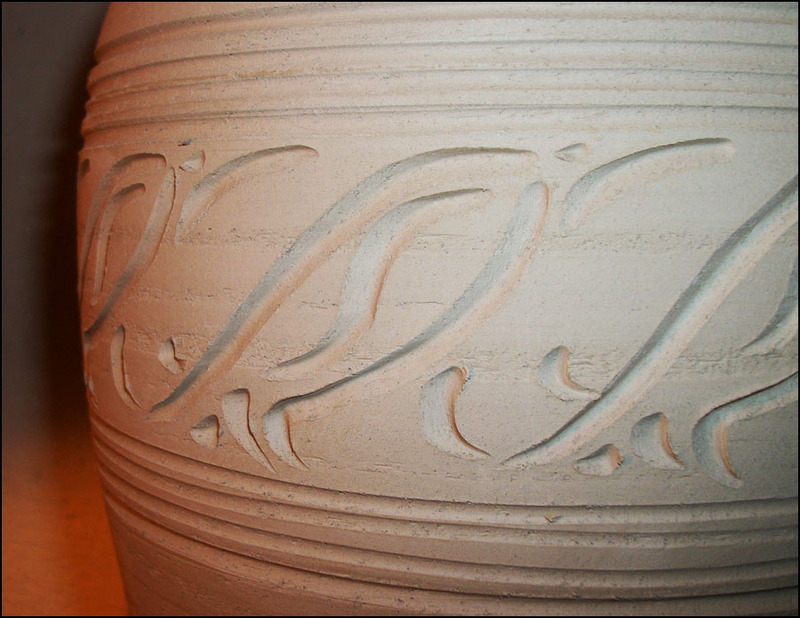 Detail of the tall vase above. This one was fun. Came out looking like birds (I think). Marching penguins and all that. Krystal says they look like fish. Maybe narwhals. So, abstract representation of pseudo-quasi-semi-mammal-ichthy-ornithological critters. 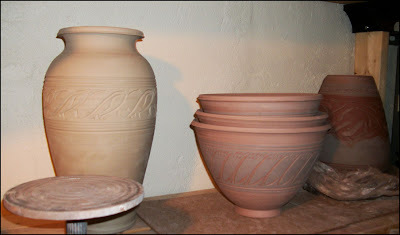 These are actually from the July firing but haven't been seen here. 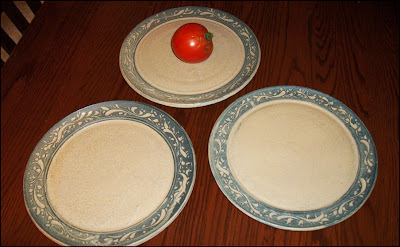 These are the three that DIDN'T crack. Practicing for my upcoming show. This shelf folds down to be nice and flat and portable. 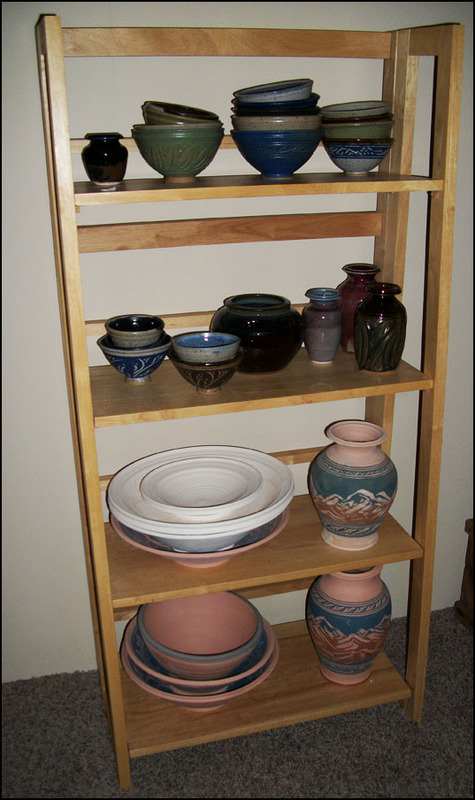 Also, gets the pots off the floor. Very useful. So that's about it. Firing went off without a hitch; no exploding pots, no collapsing shelves. 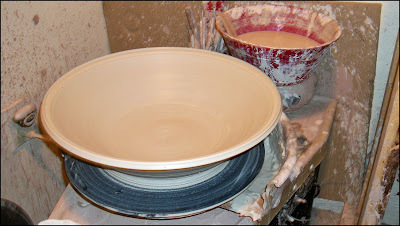 Ran a normal 12 hour firing cycle. Other occurrences include an 18 mile run (8/28) and a 20 mile run (9/4), both of which were followed by lots of food and hobbling around. We're going to have to start drawing straws to determine who should be responsible for bringing food and water to the couch. Also, if we keep it up, we might not any long be able to resist stopping in for a pick-me-up as our route takes us by Pizza Ranch right around mile 17. It's getting mighty hard to resist the call of Cactus Bread after running for 3+ hours. Mighty hard. 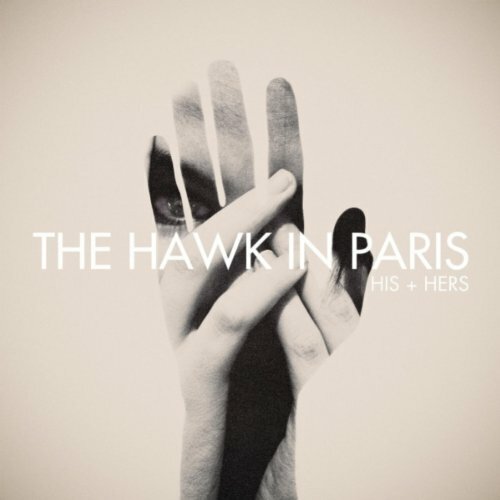 In music news, I've been digging the debut EP from The Hawk in Paris - synth-heavy pop drawing comparisons to M83 or Depeche Mode. I like to think of it more in a U2 meets Postal Service vein. Which may be the same thing. Very good stuff and worth checking out. I was able to snag a preview version during a limited window last weekend, but a FREE 3-song sampler is currently available over at Noisetrade and the EP releases on iTunes (and elsewhere?) on Tuesday 9/13. 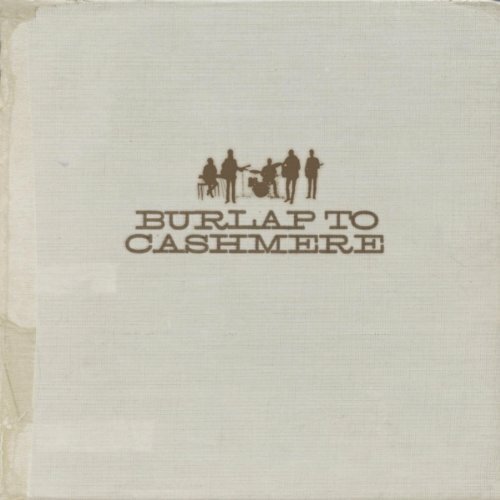 Also in heavy rotation lately is Burlap to Cashmere's sophomore release, hot on the heels of their 1998 debut. I was fortunate enough to win a copy of the CD through an online drawing I'd forgotten I'd entered. I never win anything, so this was very exciting. Also exciting? The music. Greek inspired acoustic folk rock stuff. Very well done, musically engaging, lyrical storytelling. I highly recommend both of these collections of songs, and they've been pretty good studio music for me. What have you been listening to lately? Well, I think that's all she wrote. Or, at the very least, all I've got time for on my lunch break. 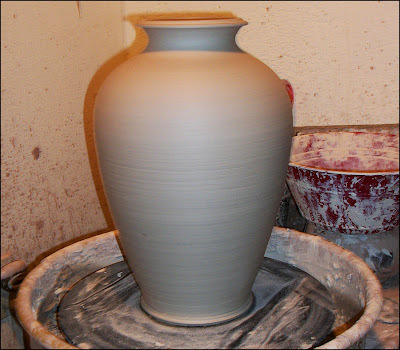 More pots in my future, and hopefully that means more pots in your future.